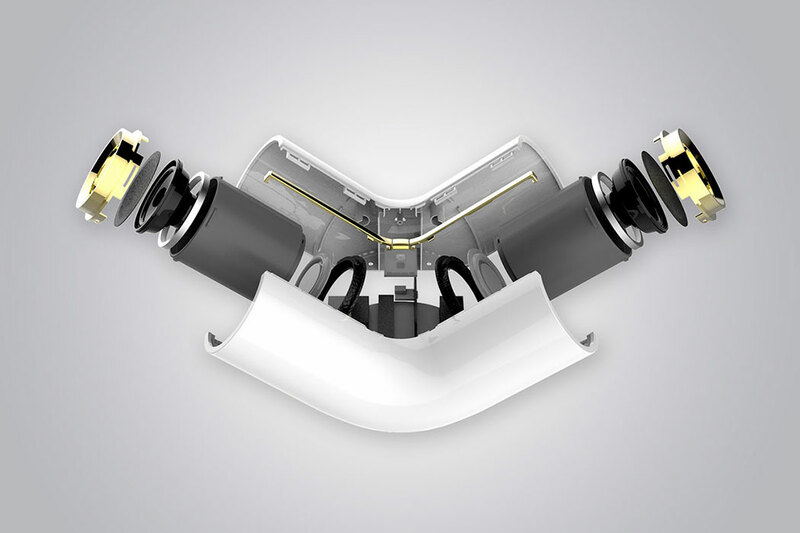 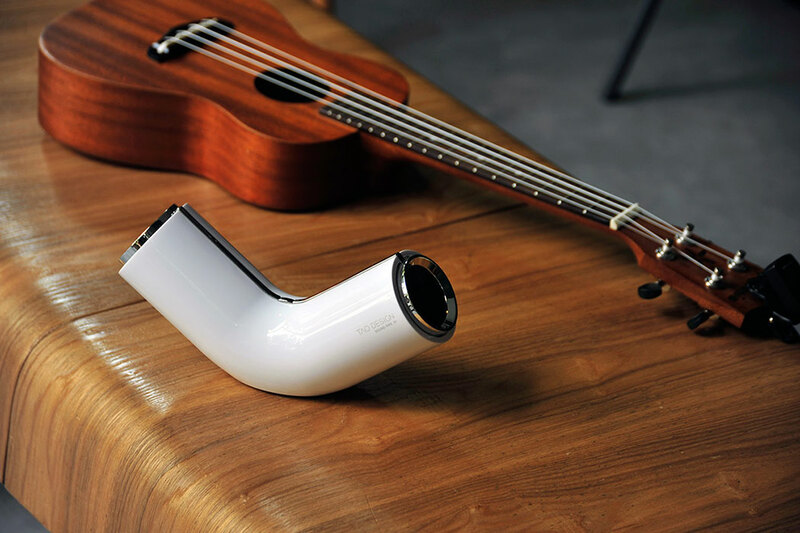 Aware of the redundant geometrical similarity in the speaker industry, the minds at Tao Design were inspired to create a special, fresh and new design that could be differentiated from other speakers in the market. 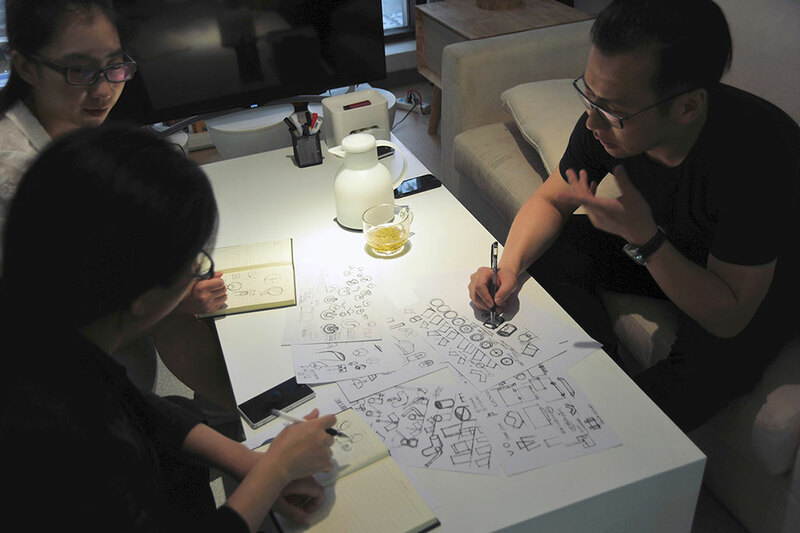 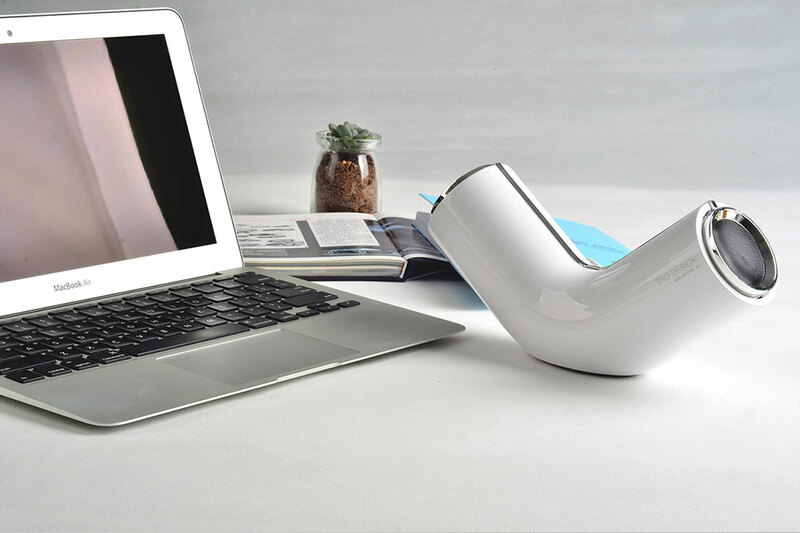 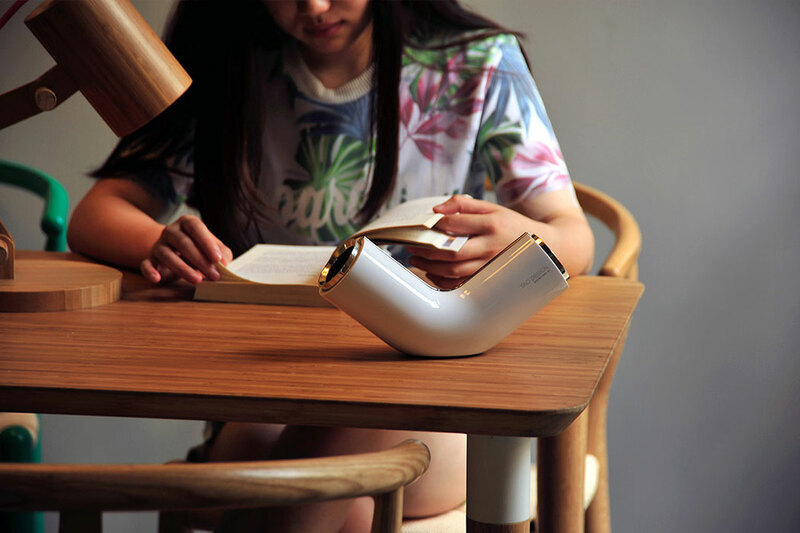 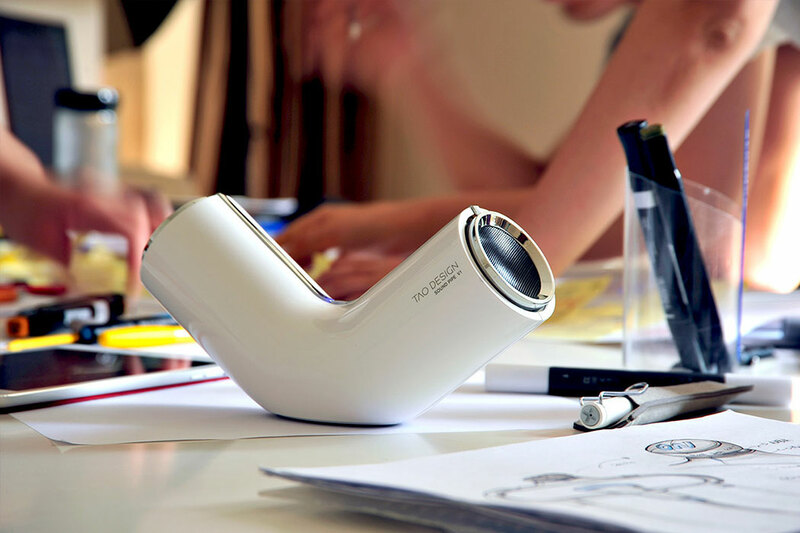 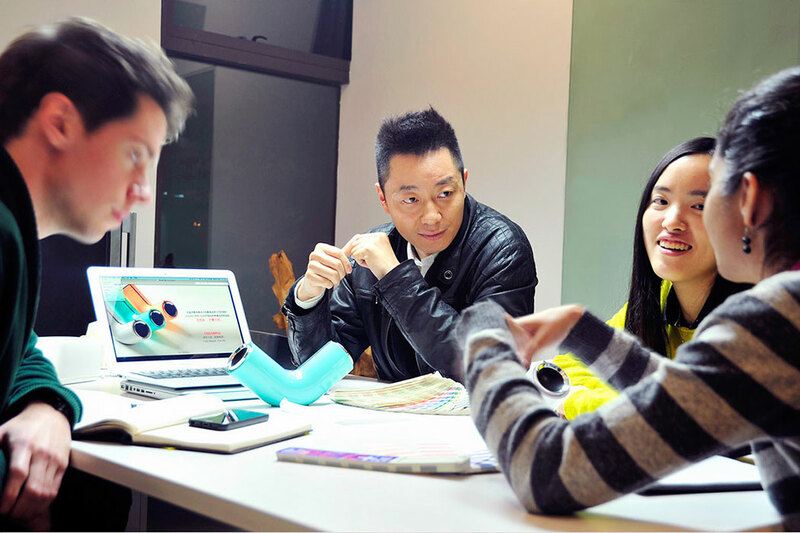 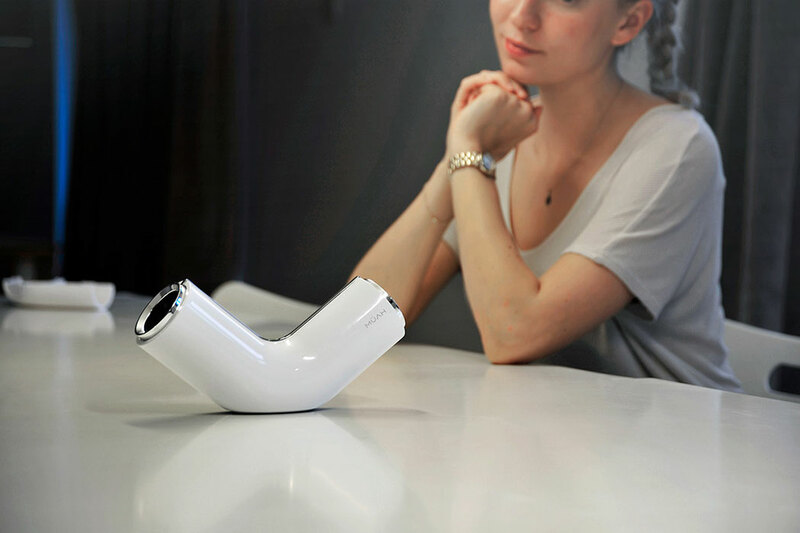 The result is Sound Pipe- a stylish device to enhance any home or office! 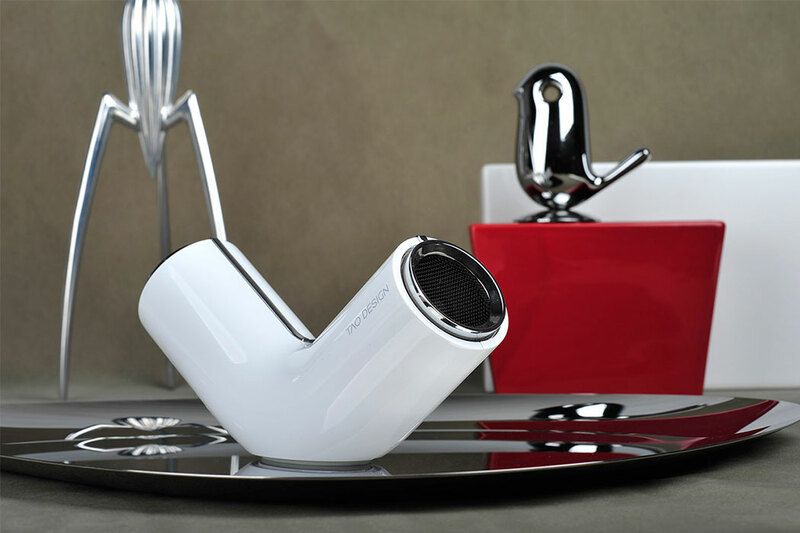 The minimalistic design features two outputs for multidirectional sound. 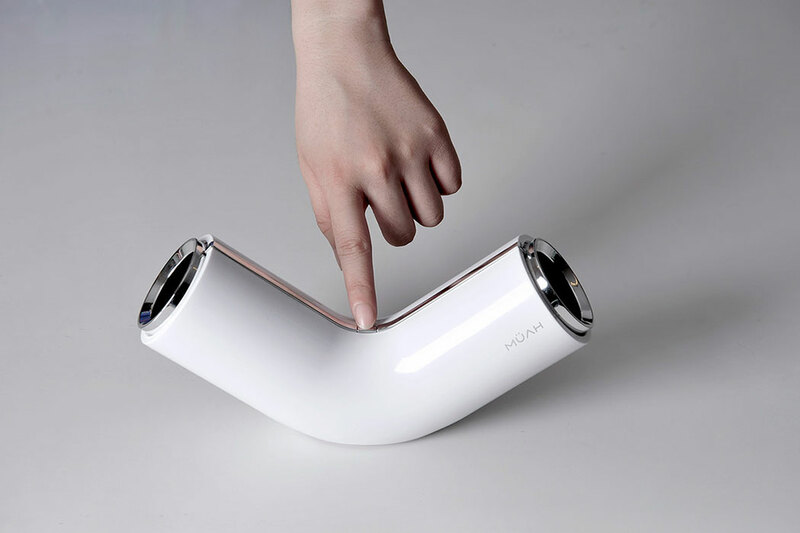 To control, simply tap the center of the curve or slide a finger along the pipe to adjust volume.